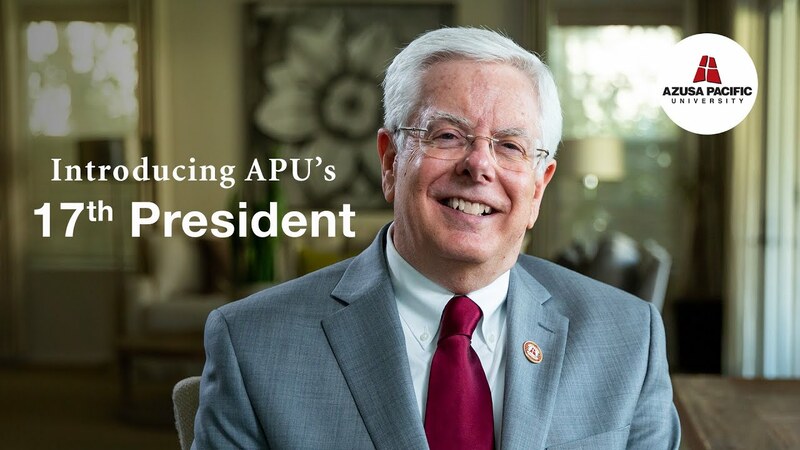 Azusa Pacific University’s Board of Trustees announces Paul Ferguson, Ph.D., as its 17th president. He received unanimous support. A Southern California native, he is founding dean of the School of Science, Technology, and Health at Biola University. His leadership experience includes serving as president of Ball State University and the University of Maine. 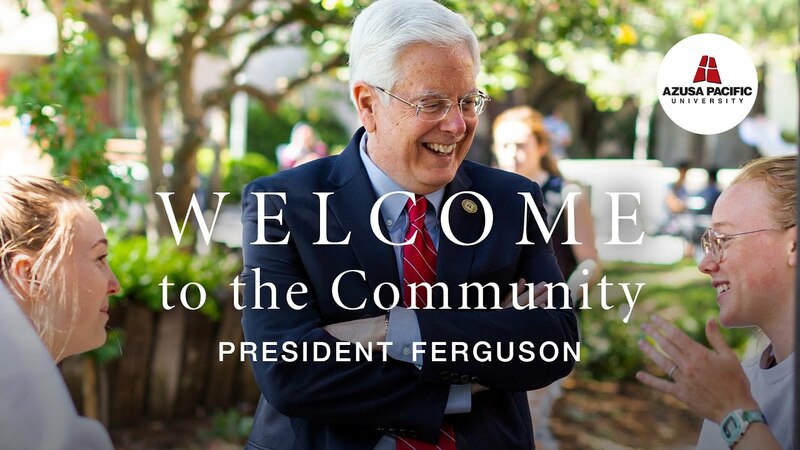 Ferguson is known for driving academic innovation, advancing effectiveness in administrative practices, and building a strong bond with students, faculty, staff, and alumni. He will play an instrumental role in guiding the university into a new era of success. Read the entire announcement. A Southern California native, Paul Ferguson, Ph.D., has enjoyed a 30-year career in public higher education as a professor in the field of toxicology/public health and as a university administrator. Prior to becoming the 17th president at Azusa Pacific University, Ferguson served as the founding dean of the School of Science, Technology, and Health at Biola University. Ferguson served in leadership roles at five universities, including as president of Ball State University (2014–16), president of the University of Maine (2011–14), provost and vice chancellor of academic affairs at Southern Illinois University Edwardsville (2006–11), vice president for research and graduate studies at the University of Nevada, Las Vegas (1999–2006), and vice provost and dean of graduate studies and research at the University of Louisiana, Monroe (1993–99). Ferguson began his academic career as an assistant professor of toxicology in the College of Pharmacy and Health Sciences at the University of Louisiana, Monroe, eventually rising to professor and chair of the Division of Pharmacology and Toxicology before assuming senior leadership responsibilities. Commensurate with advancing in the administrative arena, he served in joint faculty appointments, including professor of biology and toxicology at UNLV, professor of toxicology and environmental sciences at SIUE, and professor of biomedical sciences at the University of Maine. Throughout his career, Ferguson has maintained a consistent commitment to scholarship through writing and publishing in scientific and higher education literature, as well as teaching selected graduate and undergraduate courses in higher education leadership, toxicology, and public health. Ferguson also served in the corporate sector as a research biologist for Pennwalt Corporation (1974–76) and as senior toxicologist for Unocal Corporation (1984–88). He and his wife, Grace, have been married for 44 years. They have three married children and a grandchild. Ferguson grew up in Hacienda Heights and now resides in Yorba Linda. For media inquiries, contact the Office of University Relations.